"A not so typical fight over a girl..."
Games Store - PC subsection: Neverwinter Nights: Kingmaker, ShadowGuard & Witch's Wake added, Neverwinter Nights Diamond Compilation Pack added, ToEE, NWN, SoU & HotU Amazon.co.uk links updated. Editors, Hacks & Custom Characters subsection: 3 new additions, 1 entry updated. Tips, Tricks & Hints subsection: BG2: ToB (Male PC) Romances Guide added (! ), BG2: ToB Sarevok Alignment Change Guide added, Baldur's Gate II: Throne of Bhaal Anomen Romance Guide updated. Tips, Tricks & Hints subsection: Icewind Dale Character Creation Guide updated. Tips, Tricks & Hints subsection: Colthrun's Arcane Crafting Book added, Neverwinter Nights Assassin Guide updated. Editors, Hacks & Tweaks subsection: Mega Weapons Override added. Miscellanea subsection: Neverworld Font + Demo Image added. Walkthroughs & Guides subsection: Dragonshard Official Strategy Guide link added. Miscellanea subsection: Dragonshard Official Patch added, Dragonshard Chat Logs listed (published previously). Forgotten Realms Books subsection: The Two Swords (The Hunter's Blades Trilogy) paperback added, Annihilation (R.A. Salvatore's War of the Spider Queen) paperback added. Terry Pratchett Books subsection: A Hat Full of Sky (Discworld Series) paperback added, Where's My Cow? & Thud! (Discworld Series) added, Once More *with Footnotes (Non-Discworld Fiction) added. George R. R. Martin Books subsection: A Dance with Dragons (A Song of Ice and Fire) added. Miscellaneous Books subsection: Turn the Other Chick (Parodies) added. A number of new sample chapters have been added in various book subsections. All the links in the book subsections have been checked and many other paperback versions added or updated in various subsections. Tips, Tricks & Hints subsection: Baldur's Gate II: Throne of Bhaal Anomen Romance Guide added, Quaky's Guide to Kits added, Secrets of Journals updated. Editors, Hacks & Custom Characters subsection: Berserker Minsc updated. Tips, Tricks & Hints subsection: Icewind Dale Character Creation Guide added. Tips, Tricks & Hints subsection: Jukka's Ultimate Powergaming Party updated, 4 new guides added. Editors, Hacks & Custom Characters subsection: Targos-Be-Gone updated. Tips, Tricks & Hints subsection: Neverwinter Nights Feat Chart added, Neverwinter Nights Assassin Guide added, DM Set Appearance List added. Editors, Hacks & Tweaks subsection: Portrait Conversion Tool added, CharacterBuildCalculator added, Stewie Soundset added. Tips, Tricks & Hints subsection: Item Crafting in The Temple of Elemental Evil added. Helping Sorcerer's Place: Page updated in several places, 2 new support options added. SP FAQ subsection: Slightly updated in several places. Features & FAQ subsection: Recently added features listed, FAQ updated. Forgotten Realms Lore subsection: Character Sheets by Rooks added. Tips, Tricks & Hints subsection: Felinoid's BG1 NPC Proficiencies List added, The Pockets To Pick in Baldur’s Gate updated. Editors, Hacks & Custom Characters subsection: Lost Items mod added. 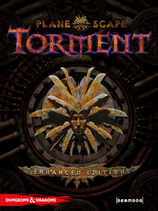 Tips, Tricks & Hints subsection: Planescape: Torment Novelization link added. Miscellanea subsection: Torment Meetings Screensaver link added. Editors, Hacks & Custom Characters subsection: 2 new mods added, 1 voice pack added, 1 mod link added. Editors, Hacks & Custom Characters subsection: Custom DLL Fixes & Changes added, Level 40 XP Patcher added, Targos-Be-Gone added, 7 soundsets added. Maps subsection: Fell Wood Annotated Map added. Walkthroughs & Guides subsection: Neverwinter Nights Walkthrough/Guide & FAQ by Olimikrig added. Tips, Tricks & Hints subsection: Neverwinter Nights & Shadows of Undrentide Item List updated, Neverwinter Nights Unofficial Shifter FAQ updated. Editors, Hacks & Tweaks subsection: 6 Female Drow Portraits added on page #2. Tips, Tricks & Hints subsection: ToEE Item/Enemy Guide updated. Miscellanea subsection: 2 new wallpapers added, demo link added. D&D PnP Books subsection: Dungeons & Dragons for Dummies (Core Products) added. SP FAQ subsection: Slightly updated in places. Now includes a numbered index for ease of use. Dragonshard added to the Games Store - PC subsection. Editors, Hacks & Custom Characters subsection: The Fields of the Dead mod link added. Tips, Tricks & Hints subsection: Baldur's Gate II - Spells Reference by Xyx added. With Xyx's kind permission, Sorcerer's Place now mirrors the entire Spells Reference site. Editors, Hacks & Custom Characters subsection: Baldur's Gate 2 AI uScript updated, Infinity Engine Miscellania by Cirerrek link added, Xyx's Beholder Stuff added. Sorcerer's Place now hosts the entire beholder-related work of Xyx. Also: The Sorcerer's Place Collection updated (prior to this site update), Improved Firkraag mod added, Icewind Dale Voice Pack Converter updated, 3 voice packs added, Solo With a Party Mod link added. Miscellanea subsection: Game Icon Set added. Tips, Tricks & Hints subsection: The Dragon-Blooded Spirit Warrior guide added, Neverwinter Nights Paladin Guide added. Miscellanea subsection: Another excellent colorized version of the black & white Aribeth image added. Editors, Hacks & Tweaks subsection: Livonya's Mod link added. Tips, Tricks & Hints subsection: ToEE Item/Enemy Guide updated, ToEE Cleric Domain Power Descriptions added. Currently contains an introduction to the game, community updates archive, a wallpaper and a number of screenshots. More to come. Dungeons & Dragons Online game subsection opened. Currently contains all the Dungeons & Dragons Online screenshots released to date (to my knowledge). More to come. Forgotten Realms Books subsection: Crown of Fire (Shandril's Saga) & Extinction (R.A. Salvatore's War of the Spider Queen) mass mkt. paperbacks added, Resurrection (R.A. Salvatore's War of the Spider Queen) added, Realms of the Dragons II (The Year of Rogue Dragons) added, The Ogre's Pact (The Twilight Giants) added, The Best of the Realms, Book II: The Stories of Ed Greenwood (The Anthologies) added. Dragonlance Books subsection: Kender, Gully Dwarves and Gnomes (Tales I Trilogy) new paperback added, Empire of Blood (The Minotaur Wars) added, Blades of the Tiger (The Taladas Chronicles) added. D&D PnP Books subsection: Dungeon Master's Guide II (Core Products) added, Angelfire Booster Pack (D&D Miniatures) added, Five Nations (Eberron Material) added, Champions of Ruin (Forgotten Realms Material) added, Races of Eberron (Guidebooks, Handbooks, Sourcebooks) added, Lords of Madness: The Book of Aberrations & Heroes of Battle (Various Accessories) added. Terry Pratchett Books subsection: The Science of Discworld III: Darwin's Watch (Companions, Guides, Maps and Related Books) added. Terry Goodkind Books subsection: Chainfire (Sword of Truth) added. George R. R. Martin Books subsection: The Hedge Knight - Second Edition (A Song of Ice and Fire Prequels) added. Dungeons & Dragons Books subsection: Dagger of Doom (Knights of the Silver Dragon) added. Eberron Books subsection: The Crimson Talisman (The War-Torn) added. Walkthroughs & Guides subsection: Baldur's Gate Online Walkthrough added, The Complete Guide to Baldur's Gate & Tales of the Sword Coast updated. Tips, Tricks & Hints subsection: Baldur's Gate NPC Listing updated, Baldur's Gate Creature List updated. Editors, Hacks & Custom Characters subsection: BG1 Slime Quest added. Walkthroughs & Guides subsection: The Complete Guide & Walkthrough to Planescape: Torment updated, Steve's Guide to Planescape: Torment added. Tips, Tricks & Hints subsection: Planescape: Torment Store List updated, Planescape: Torment Items List updated. Walkthroughs & Guides subsection: Icewind Dale, Heart of Winter and Trials of the Luremaster Walkthrough updated, Don Chan's Icewind Dale FAQ/Walkthrough updated. Tips, Tricks & Hints subsection: A Guide to the Creatures of Icewind Dale: Heart of Winter added, Icewind Dale & Baldur's Gate Items List updated. Editors, Hacks & Custom Characters subsection: Icewind Dale Tweak Pack link added, Grog's Custom AI Scripts link added. Walkthroughs & Guides subsection: Complete Baldur's Gate II & Throne of Bhaal FAQ and Walkthrough updated, AD&D Rules FAQ updated. Tips, Tricks & Hints subsection: Baldur's Gate II & ToB Class FAQ updated, Secrets of Journals updated, Throne of Bhaal Endings FAQ updated, BG2 & ToB Full Item List with Description Text updated, Baldur's Gate II Creature List updated. Editors, Hacks & Custom Characters subsection: 2 mods updated, 1 portrait pack added, 6 voice packs added, 2 mod links added. Miscellanea subsection: BG2 Electricity Review added, Ryyme's Tunes added (2 new ones). Tips, Tricks & Hints subsection: Icewind Dale 2 Spells updated, Icewind Dale 2 Cleric Domain Spell Restrictions updated, Icewind Dale 2 Items List updated. Editors, Hacks & Custom Characters subsection: Bonus & Collector's Edition CD Merchants (downloadable) added. Miscellanea subsection: Demon Stone Official Patch added. Tips, Tricks & Hints subsection: Gameplay Tips for NWN Premium Modules added, Hordes of the Underdark Ranger Guide updated. Walkthroughs & Guides subsection: The Temple of Elemental Evil Walkthrough updated. Tips, Tricks & Hints subsection: ToEE Item/Enemy Guide added. Forgotten Realms Books subsection: Spellfire (Shandril's Saga) & Silverfall (Stories of the Seven Sisters) mass mkt. paperbacks added, The Crystal Shard Deluxe Hardcover (The Legend of Drizzt) added, Viper's Kiss (House of Serpents) added, The Rite (The Year of Rogue Dragons) added. Dragonlance Books subsection: Galen Beknighted (Heroes II Trilogy) new paperback added, The Magic of Krynn (Tales I Trilogy) new paperback added, Lord of the Rose (Rise of Solamnia) added, Return of the Exile (The Linsha Trilogy) added, Dragon Sword & Dragon Day (The New Adventures) added. D&D PnP Books subsection: Deathknell Booster Pack (D&D Miniatures) added, Grasp of the Emerald Claw (Eberron Material) added, Lost Empires of Faerun (Forgotten Realms Material) added, Races of the Wild (Guidebooks, Handbooks, Sourcebooks) added, Sandstorm: Mastering the Perils of Fire and Sand & Complete Adventurer & d20 Past Roleplaying Game (Various Accessories) added. Terry Pratchett Books subsection: The First Discworld Novels (Discworld Series - Omnibuses) added, Terry Pratchett's Discworld Collector's Edition Calendar 2005 & The Discworld Almanak for The Year of The Prawn (Companions, Guides, Maps and Related Books) added. J. K. Rowling Books subsection: Harry Potter and the Half-Blood Prince (Harry Potter Series) added. Dungeons & Dragons Books subsection: Figure in the Frost (Knights of the Silver Dragon) added. Eberron Books subsection: New subsection opened; The City of Towers (The Dreaming Dark) added, Marked for Death (The Lost Mark) added. Archives subsection: Page reorganized to make more sense (newest archives on top). Also added the entire archive of the guestbook entries. The guestbook had to be removed due to abuse, but all the entries up to the closure are accessible in this subsection. Forgotten Realms: Demon Stone availability expanded to Amazon.co.uk & .de in the Games Store - PC subsection. Also several minor link changes and additions. Walkthroughs & Guides subsection: Deathbringer's Watcher's Keep Walkthrough added, BG2: Shadows of Amn Quest List added, Complete Baldur's Gate II & Throne of Bhaal FAQ and Walkthrough by Dan Simpson updated, AD&D Rules FAQ by Dan Simpson updated. Tips, Tricks & Hints subsection: Chris Lee's Thief Guide updated. Editors, Hacks & Custom Characters subsection: BG2 SuperScripts updated, Icewind Dale Voice Pack Converter added. Editors, Hacks & Custom Characters subsection: Bill Hicks Soundset added. Tips, Tricks & Hints subsection: Pool of Radiance: Ruins of Myth Drannor Manual added. Editors, Hacks & Custom Characters subsection: PoR Speed Control Utility 1.4 added. Tips, Tricks & Hints subsection: Unofficial Dwarven Defender Character Build Guide updated, Neverwinter Nights Item List updated. Modules subsection: Premium Neverwinter Nights Modules link added. Editors, Hacks & Tweaks subsection: 3 new additions. Subsection #7: 4 new additions. Walkthroughs & Guides subsection: The Temple of Elemental Evil Walkthrough by JaggedJim updated. Our Temple of Elemental Evil Online Solution has also been updated to take into account the Circle of Eight mod-pack throughout the solution. Miscellanea subsection: The official patch entry updated to include patch #3. Also added an unofficial ToEE patch by Moebius. Forgotten Realms Books subsection: Homeland, Exile & Sojourn Deluxe Hardcovers (The Legend of Drizzt) added. As noted in SPH, the reading order in this subsection has also been changed, so it should now make more sense to newcomers to FR. Terry Pratchett Books subsection: Terry Pratchett: Guilty of Literature (Companions, Guides, Maps and Related Books) added. J.R.R. Tolkien Books subsection: The Lord of the Rings: The Return of the King [Extended Version] DVD (Related Products) added. George R. R. Martin Books subsection: The Hedge Knight (A Song of Ice and Fire Prequels) added, Windhaven & Fevre Dream (Other Fantasy) added. Miscellaneous Books subsection: Barry Trotter and the Dead Horse & The Sellamillion (Parodies) added. Staff List subsection: Beren added to the list of active members. Forgotten Realms: Demon Stone added to the Games Store - PC subsection. Tips, Tricks & Hints subsection: Baldur's Gate II: SoA and ToB Single Character Guide added, Baldur's Gate II: ToB Wild Surge Table added. Editors, Hacks & Custom Characters subsection: 3 mods added/updated, 2 voice packs added, several mod links updated. Miscellanea subsection: "Thieves", an MP3 by Ryyme added. Tips, Tricks & Hints subsection: Icewind Dale 2 Technical FAQ, Spellcasting Problems FAQ & Icewind Dale 2 Orders, Domains & Other Info added. Tips, Tricks & Hints subsection: Unofficial Champion of Torm Character Build Guide, Unofficial Dwarven Defender Character Build Guide, Hordes of the Underdark Ranger Guide, Neverwinter Nights Unofficial Shifter FAQ & Bill Lumbergh's Neverwinter Nights Cleric FAQ added/updated. Walkthroughs & Guides subsection: The Temple of Elemental Evil Walkthrough by JaggedJim updated. Walkthroughs & Guides subsection: Official strategy guide & Demon Stone walkthrough by Rana Loreus added. Forgotten Realms Books subsection: The Moonsahe Trilogy (re-release of the first FR trilogy ever) added, Mistress of the Night (The Priests) added, The Ruby Guardian (The Scions of Arrabar) added, Realms of the Dragons (The Year of Rogue Dragons) added. Dragonlance Books subsection: The Elven Nations Trilogy (re-release of the classic Dragonlance trilogy) added, A Hero's Justice (Ergoth Trilogy) added, The Lake of Death (The Age of Mortals) added, Dragons in the Archives: The Best of Weis & Hickman (Guides, Art and Other Dragonlance-related Writings) added. The subsection has been further split down into three pages now, with the novels for young readers listed on page #3. Terry Pratchett Books subsection: The Wee Free Men & Monstrous Regiment (Discworld Series) paperbacks added, Going Postal (Discworld Series) added. Piers Anthony Books subsection: Up In a Heaval, Cube Route & Currant Events (Xanth Series) added. Dungeons & Dragons Books subsection: Signs of the Shapeshifter & Eye of Fortune (Knights of the Silver Dragon) added. J.R.R. Tolkien Books subsection: Histories of Middle Earth, Volumes 1-5 & Tolkien Fantasy Tales (The Tolkien Reader / The Silmarillion / Unfinished Tales / Sir Gawain and the Green Knight) (Boxed Sets & One Volume Editions) added, Understanding Middle-earth: Essays on Tolkien's Middle-Earth (Companions, Guides, Art) added, The Return of the King Soundtrack (Related Products) added. D&D PnP Books subsection: Special Edition Player's Handbook & Monster Manual III (Core Products) added, Sharn: City of Towers & Whispers of the Vampire's Blade (Eberron Material) added, Shining South (Forgotten Realms Material) added, Races of Destiny (Guidebooks, Handbooks, Sourcebooks) added, Starter Set (D&D Miniatures) added, Map Folio 3D, Frostburn, Libris Mortis & Complete Arcane (Various Accessories) added. Miscellaneous Books subsection: The Soddit & The Sillymarillion (Various Fantasy Books & Parodies) added. Advertising subsection: Anchored the advertising page in the Info/Contact section; advertising rates also updated. Main listing: The entire Fantasy Books section has undergone a complete check; a great number of links fixed and many paperback editions of books listed added. The Games Store has been split in two platform subsections: PC and Other. This should make the organization clearer. Tips, Tricks & Hints subsection: The Great Book of Baldur's Gate and Tales of the Sword Coast updated, Baldur's Gate Manual added. Editors, Hacks & Custom Characters subsection: Baldur's Gate Super Script updated, Herbs & Potions Add-in added. Tips, Tricks & Hints subsection: PS:T Store List updated, Planescape: Torment Manual added. Tips, Tricks & Hints subsection: Icewind Dale Manual (US, UK, UK DVD versions) added, Heart of Winter Manual added, Icewind Dale & Heart of Winter Party Creation Guide added. Tips, Tricks & Hints subsection: Baldur's Gate 2 Manual added, Throne of Bhaal Manual & Reference Card added, Chris Lee's Thief Guide updated, BG2: SoA NPC List updated. Editors, Hacks & Custom Characters subsection: 3 mods updated, 1 voice pack added, Check the Bodies link updated. Editors, Hacks & Custom Characters subsection: 10 (!) portrait packs added. Tips, Tricks & Hints subsection: NWN + Hordes of the Underdark Weapon Master Character Creation Guide updated. Editors, Hacks & Tweaks subsection: Ferros' ToEE Character Editor v0.8 (beta?) + Source Code added.